This would be really shocking news for all the Indians. 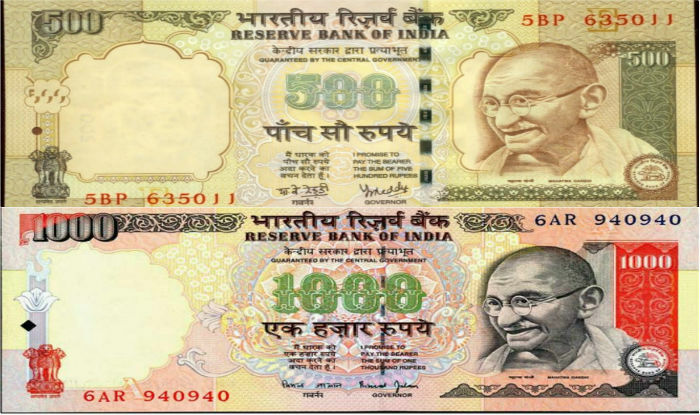 India has discontinued its two largest notes. This was done surprisingly to abolish corruption from India. Notes worth 500 and 1000 rupees have been completely discarded by the government. It was not used anywhere except petrol pumps and government hospitals. India newspapers are all filled with this new only. Where ever you go, people will be heard discussing this only. People are facing many problems. They are not able to purchase their grocery too. This news was addressed by Indian Prime Minister, Narendra Modi during a televised address to the whole nation. This completely unexpected move is completely designed to fight against corruption and black money. He addressed the corruption as the disease in the country and as an obstacle for the growth of the nation. Corruption has greatly effected the success and economic development of the nation. Modi said that there were many policy changes implemented to uproot the corruption but every trial failed. So he hopes this would turn out to be a great success. According to the two years back researches, India was ranked 100th in terms of corruption. After that we have only been able to come up to 76th in the world, in terms of corruption. India newspapers have created much awareness about it. This news is getting much popular in world newspapers, and everybody is shocked to read about this. But this will definitely lead India to a better place to live. The whole nation was shattered to hear this news. The whole concept of this announcement and step taken was to bring all the black money out of the deep and dark shadow. This step will help to strengthen the hands of the common man in the fight against corruption, black money and fake currency. This statement was said by Narendra Modi who is leading the Bharitya Janta Party. This ban has really made the lives of common man quite difficult. They have to stand in long lines to get the money exchanged or deposit their cash in the bank. It was also announced that you have 50 days to exchange and deposit your old currency. It was just till Nov, 11 that hospitals were accepting old 500 and 1000 rupees notes. The transaction is not going to be a easy task. The Reserve Bank of India (RBI) estimates that there are 16.5 billion 500 rupee notes and 6.7 billion 1000 rupee notes currently in circulation. ATMs will be shut on Nov. 9 and 10 to help implement the change. The RBI is also preparing itself to issue new notes as soon as possible so that the common man does not face any problem. It made all the Indians suffer a lot, but this will take India to greater heights and it will soon be a corruption free country.